Who is managing your privacy and identity on the Web? People are increasingly turning to online services offered through the Web for performing various functions. This includes shopping, banking, travel booking or even accessing various government services and doing civic duties like voting. This means that private information is being shared on the Web all the time. How can we ensure that the right measures are in place for protecting the private information of individuals? Who is managing your privacy and identity on the Web? What should you be aware of? This roadshow explores the various challenges and progress made in the area of privacy and identity on the Web and the underpinning standards framework needed to protect private data. You will hear from leading experts in the field on how various challenges are being tackled. 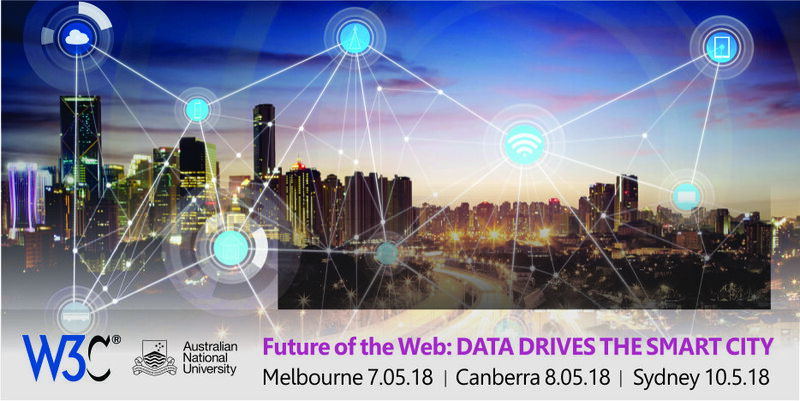 W3C and ANU partnered to deliver the first of a roadshow series to ponder the Future of the Web. This first series focussed on data and the Smart City with events held in 3 cities (Melbourne, Canberra and Sydney) in early May. The motivation for doing the roadshow is to open a channel for exposure and open discussions with government and industry on a number of topics where technology is shaping society. It is essential to think about implications of various high-impact technologies as we make plans for how to use them. W3C does important work in developing standards for the Web, which needs wide industry and government participation for input and directions. ANU is training the workforce of the future. In order to ensure that the programs being taught meet demand from government and industry, we need an on-going dialogue to understand issues faced and adapt our curriculum accordingly. 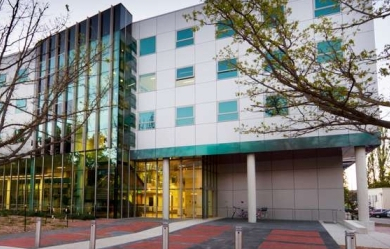 Programs of relevance include Data Analytics, Computing, Cybersecurity and evidence-based MBA. The workshops fostered lively debates in all 3 cities, with the biggest crowd in Canberra. The various aspects of privacy was at the heart of the discussions with many participants raising questions and contributing insights. Given the level of interest, we thought the next series theme of “Cybersecurity” seems to be a good choice. 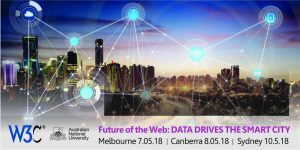 The World Wide Web Consortium (W3C), in partnership with the Australian National University invites you to Data Drives the Smart City, to be held in Melbourne 7 May, Canberra 8 May and Sydney 10 May, 2018. The half day conference will explore the challenges and progress made in the technology and underpinning standards framework needed to enable smart cities. You will hear from leading experts in the field on how challenges are being tackled. 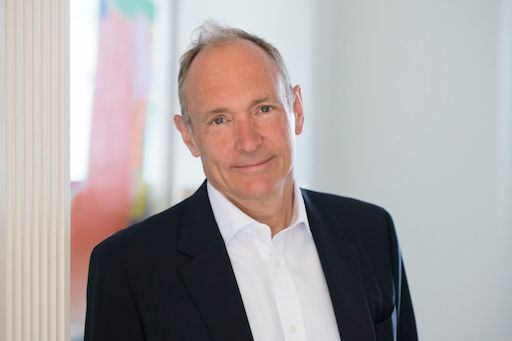 W3C is the international body founded by Sir Tim Berners-Lee for developing standards for the web, with the mission of leading the web to its full potential. ANU is Australia’s top-ranked university striving to do world-class research and to educate in-demand graduates ready to address complex contemporary challenges. Agenda details can be found here. The Combined Technical Plenary / Advisory Committee Meetings Week (TPAC 2017) wil be happening 6-9 November in Burlingame, California. W3C Community Groups are invited to participate in TPAC2017. Community Groups will be able to hold a 2 hour meeting on Monday (6 Nov), Tuesday (7 Nov), Thursday (8 Nov) or Friday (9 Nov) in up to 4 groups each day. The Combined Technical Plenary / Advisory Committee Meetings Week (TPAC) brings together W3C Technical Groups, the Advisory Board, the TAG and the Advisory Committee for an exciting week of coordinated work. The face to face meetings and discussions provide invaluable benefits for the members. For further details and registration, see the program website (link). CAUL Publishing-X 2017 is the Council of Australian University Librarians (CAUL) publishing symposium, to be held on July 11-12. Hosted by the University of Technology Sydney at Dr Chau Chak Wing Building (UTS Business School). the symposium aims to bring together University publishing specialists and innovative digital and print service providers to share practical knowledge and insight into the rapidly changing environment that is international scholarly communication. The program for CAUL Publishing-X 2017 is available in this page, and registration can be done online in this page. The goal of The Web Meetup is to promote collaboration and a better understanding of the disciplines associated with working on The Web. It’s through an understanding of how to improve communicate and realising where our different roles and skills overlap that we can produce better quality applications and websites, and make our work more enjoyable.